Women’s ‘Shara’ hi-top trainers from Emporio Armani. 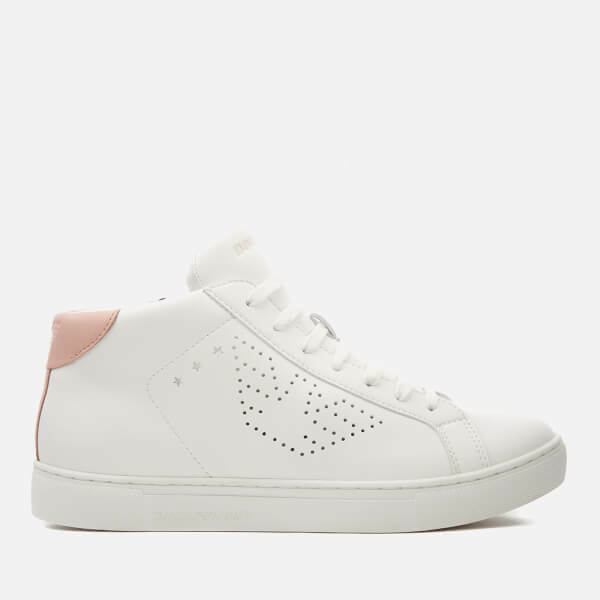 Crafted from smooth, faux leather, the white sneakers comprise a lace-up fastening, a contrasting pink overlay at the heel and perforated detailing in the shape of stars and the signature eagle logo. 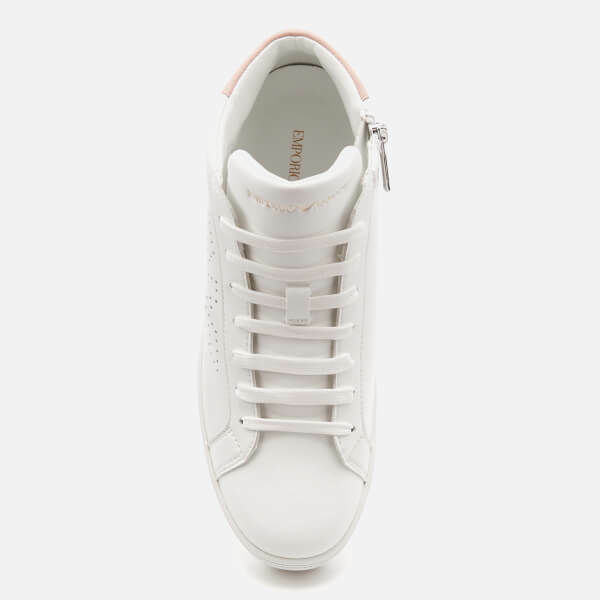 Set upon a tonal rubber sole, the shoes are completed with embossed branding to the tongue and sides.